This is a massive project and will likely take more than one month to complete. Which Is why we would really like to have as much support as we can get. Right now, the general Ideas are in place for the Architecture. However, we still need detail work, furniture, and fresh ideas. If you wish to help with this project, please talk with one of us three for briefing. 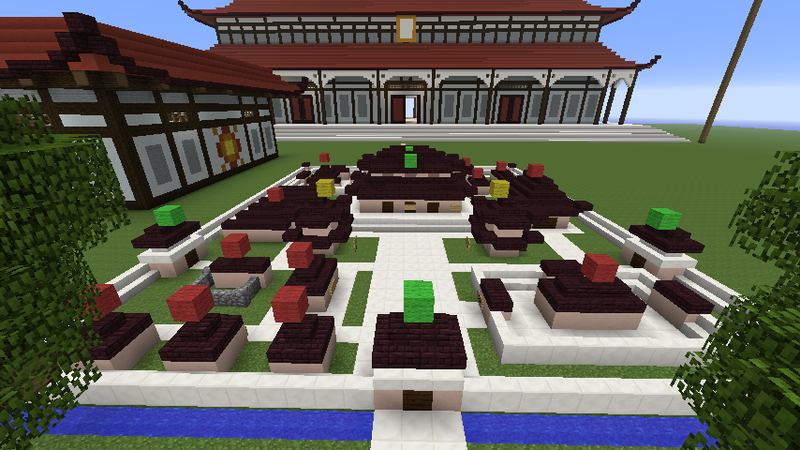 You can talk to us on the server, however it is preferable to contact us on the mumble if possible. He was on atleast this or last week. But yeah if you want to help go ahead, and if you have any questions just ask. Also are you able to get the the FF6 world where Lunar Capital is being built? We actually have the main part of the Lunar Capital completely made but not finished. 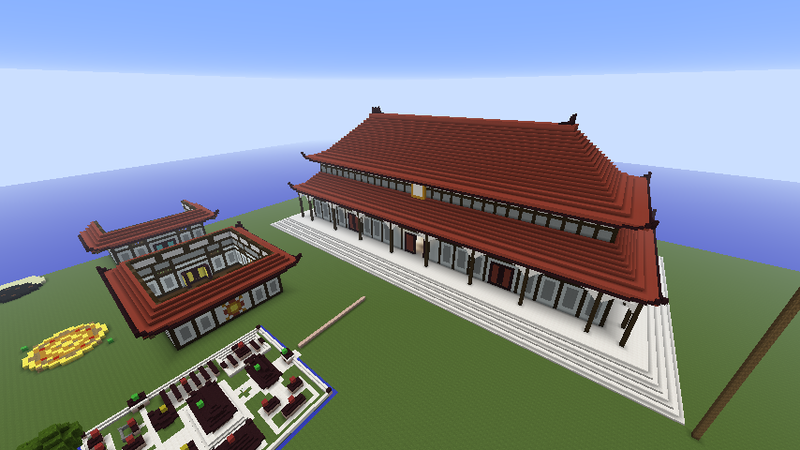 I'm a little busy with school at the moment to continue building. So any help is nice. If anyone would like to join in, they're free to do so. Just ask in this thread or any of the leads when they're on the server. My only advice is not the touch the builds of other people without asking them first. If Oni isn't apart of the leaders for the project then I'm willing to step in his place. Last edited by KokoButtz; 09-02-2015, 04:16 PM. hey guys I'm interested in getting this build off the ground again and with the lunarians being in the spotlight for this new installment of touhou, I think people on the server would be willing to help with it. Anyone else want to help get this going again? So now that LoLK is out here's a street in Lunar Capital. The color scheme/design isn't too different from what's already built (god bless). We'll have to wait until we get more refs, and the new info on the lunarians since the game literally came out yesterday. That's the burden of using WE on large scale projects. Tho I'm confused about why it broke, cuz when I had KokoButtz use WE to copy paste a part of Mogeko Castle (the room with the Mad Mogekos (not madvicius, that would be a mad Moge-ko) that result in Bad End III Meat Party), the redstone lamps worked just fine. Heck, even the redstone timer I built was working perfectly. How many people does it take to replace a redstone lamp? Well according to Nick... a lot. Okay I'm sorry. That was horrible of me to try and make a lame joke. But replacing a simple redstone lamp doesn't seem to be that difficult... right? Tho nick this isn't a big deal really. 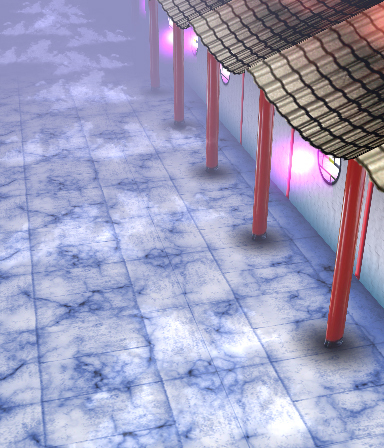 Everything that's messed up will be cleaned up when ported in Gensokyo. THAT IS THE F*CKING PLAN!!!! But what we did not know is that WE messes redstone so, let's just say that buildings with redstone lamps are plunged into darkness, and we need help of all colaborators of this project to help the Lunar Capital (more specifically The Palace and The Council) return to its natural beauty. I have tried that several times, even with advanced redstone I don't understand that much and it does not work, I spent all morning at the Council and only could do half the first floor. Last edited by nickmaster00; 06-18-2015, 09:22 PM.